Natural regeneration will, on its own, eventually produce woodland in most areas where the soil and climate are not limiting. This takes place through a process of succession. Bare ground will be colonized by quick growing herbaceous plants and grasses. In time, woody shrubs, young trees and scramblers such as bramble overtop the herbaceous plants, shading them out. This is the thicket stage. 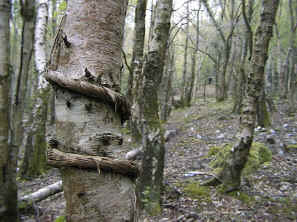 Pioneer tree species such as Birch will continue to increase in height, often shading out the underlying shrubs. In their turn, the pioneer trees will eventually be replaced by slower-growing, but larger trees such as Oak and Beech. To achieve a climax (final stage in the succession) mature Oak woodland, for example, may take centuries. Humans being an impatient species, tree planting is the answer to creating a woodland more rapidly than nature would perhaps do, if left to itself. Planting trees is often promoted as a suitable way in which people can help to conserve nature. It is a valuable investment for the future. However, before planting a woodland on a piece of land, it is vital to ensure that a more valuable and rare habitat is not being destroyed in the process. 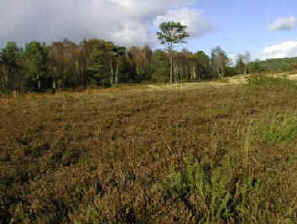 For example, it would nowadays be akin to ecological vandalism to plant trees on an area of lowland heath. In Britain, this is a much rarer habitat than woodland. It supports a variety of endangered plant and animal species which are a priority for conservation in their own right. The older habitats are, generally the greater their biodiversity and ecological complexity will be. 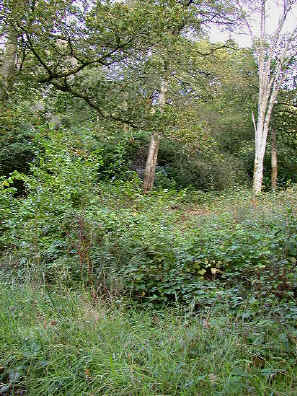 If an old area of woodland is cut down and a new one planted elsewhere, the newly planted wood cannot be considered to be an equivalent replacement for the old one. The old wood may have been acquiring different species and increasingly complex interactions for centuries. It will take a comparable time scale for the new woodland to begin to compare with the complexity of the wood it is replacing. Replanting on the site of the cut wood may shorten the replacement process slightly because continuity of wooded cover is maintained. Some of the species originally present in the old wood may also be able to recolonize the new wood from the seed bank remaining in the soil.